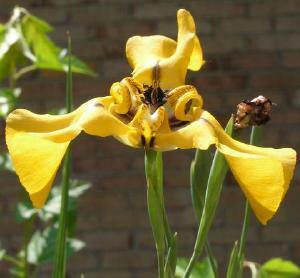 SIGNA has slide sets available for rent featuring a multitude of iris species. Several different sets are available for $10 (payable to SIGNA) from Michael Zuraw. "Species Iris: An Overview", consisting of 117 slides of 81 different species. "Species Iris for the Rock Garden", consisting of 108 slides of 47 different species. "Wild Species and Their Hybrids in Japan", by Hiroshi Shimizu consisting of 48 slides and extensive notes for each slide. "Irids", consisting of 70 slides and notes for each slide. Each set is in a slide tray ready for viewing. There is no need to wonder if you've put them in the right order or upside down. The rental fee is $10 each. Contact Michael via email at mjzuraw@aol.com regarding availability. The slide library is a great resource fo SIGNA members and we encourage you to rent them for talks at your local iris societies or garden clubs. The first two slide sets do not have speaker's notes, but do include a reprint of "Beginners Guide to Subgenus, Section and Series" by Bob Pries (from SIGNA vol 73) and a species iris source list.